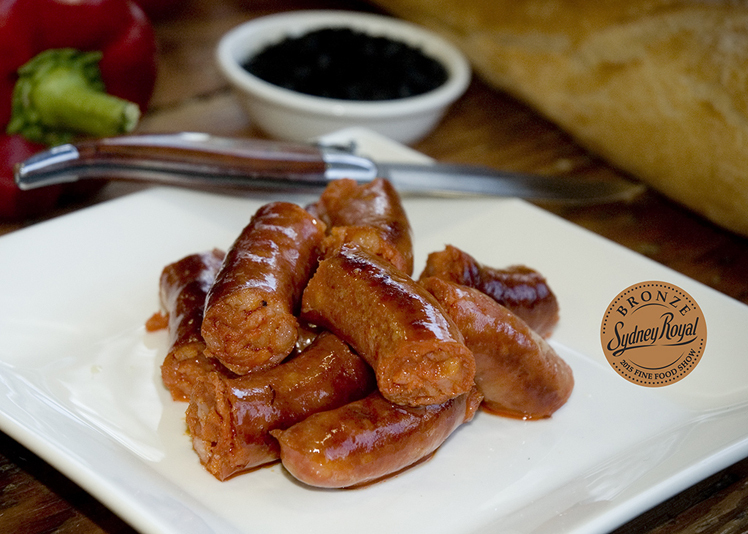 Chistorra is the most famous sausage from Spain’s Basque region. Keeping to the authentic recipe, it is made 50 centimetres long from Australian pork leg and a high percentage of pork belly in a natural 24 mm sheep casing. Chistorra is the most famous sausage from Spain’s Basque region. Keeping to the authentic recipe, it is made 50 centimetres long from Australian pork leg and a high percentage of pork belly in a natural 24 mm sheep casing. It is flavoured with garlic, salt, and paprika De La Vera, giving it a bright red colour and a smoky note. • 2 x spiral layers of 7 Chistorra 2.5kg approximately.